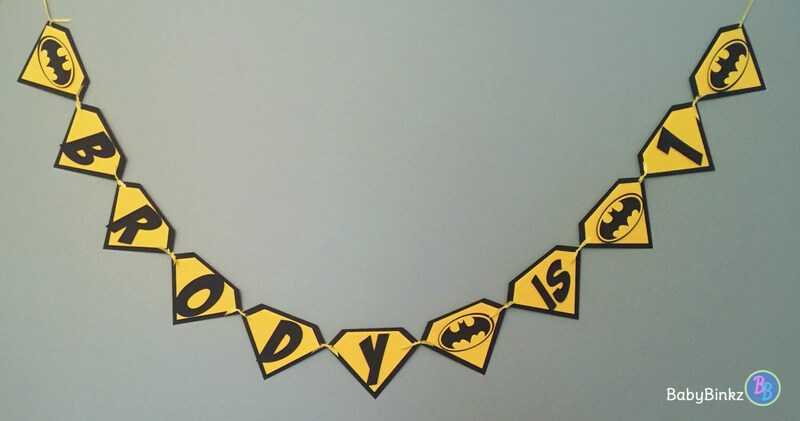 BabyBinkz Batman Inspired Pennant Party Banner with Die Cut Logos is the perfect addition to any Batman themed party! 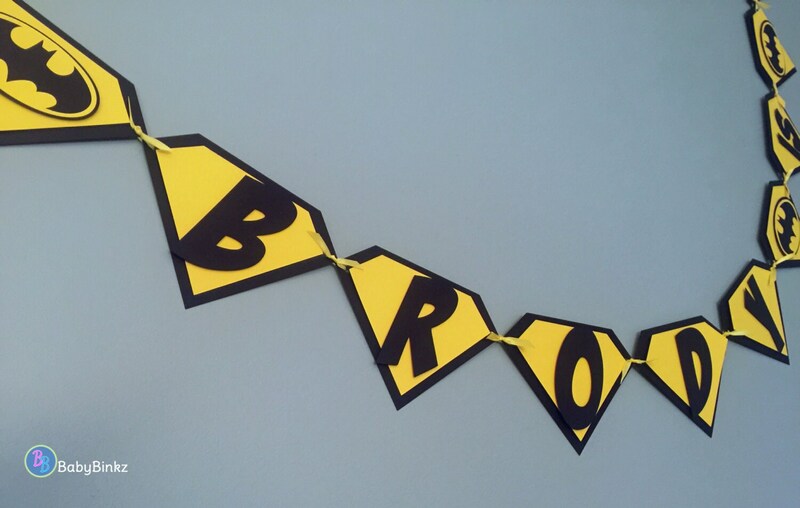 This listing is for one banner constructed from three / four layers of heavy weight card stock. 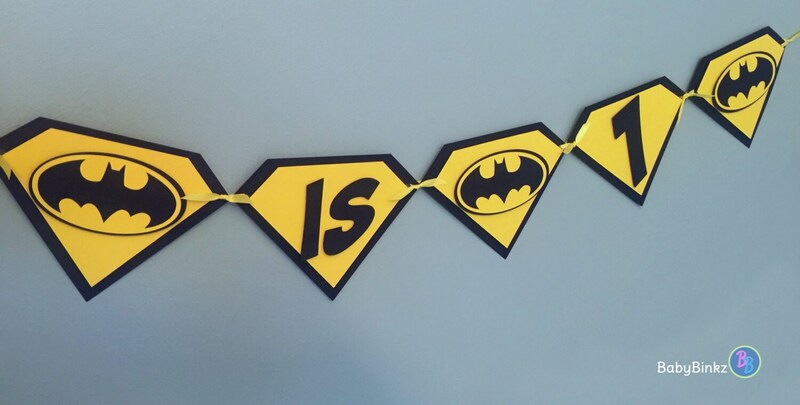 Each outer pennant measures 6.5" wide with an interior mounted pennant layer; letter graphics and layered batman logos are mounted to add dimension. The banner will come strung on 1/4" coordinating ribbon and arrive ready to be hung! Looking for different colors? Coordinating decorations? Contact us for a custom listing!